“Change the way you look at things, and the things you look at change.” Here David shares the idea that by using some simple tools and applying gratitude to your daily life, success is imminent. David is national best-selling author of Connected To Goodness and recently released a new best-selling book, Compassionate Capitalism, which he co-authored with Blaine Bartlett. Compassionate Capitalism offers new perspectives on how to improve the world’s current economic driver. Additionally, David is a prominent media personality who is profiled by national publications including Inc., ESPN, and Bloomberg. He is a host of the nationally syndicated Sports Blender radio show, co-hosted with two-time World Series champion Jim Leyritz, airing on Yahoo Sports Radio, ESPN Radio, and other stations across the country. 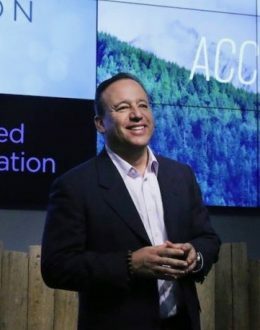 Meltzer was named a „Top 10 Keynote Speaker” by Forbes magazine in January 2016 and in 2017 by Entrepreneurial he is one of Top 5 Best Speakers for „Taking Your Event to the Next Level”.